Our Kids is the nonprofit Community Based Care (CBC) agency that oversees and leads the child welfare system in Miami-Dade and the Florida Keys. Our Kids creates safe havens for children and families through foster care and adoption. What is the role of Our Kids? We provide a comprehensive range of foster care and adoption services, including those that were previously performed by the Florida Department of Children and Families (DCF), such as prevention, case management, adoption, independent living services for transitioning foster care youth, and many other related programs. What is Our Kids’ mission? Our Kids mission is to oversee and lead a coordinated system of care in order to deliver excellence to abused, abandoned, and neglected children and their families in Miami-Dade and the Florida Keys. What is Our Kids’ vision? Our Kids’ vision is that every at-risk child in Miami-Dade and Monroe will grow up with a safe, loving, nurturing, and permanent family. Foster care is when a child has been removed, through no fault of his/her own, from their home and family due to concerns for their safety; the child may have been abandoned, abused and/or neglected and is in need of a temporary home placement. Whenever possible, they live with relatives or non-relatives familiar with the child; when that is not possible, the child is placed with a foster family in a Licensed Foster Home. The basic requirements to become a Foster Parent include: being 21 years or older; being financially self-supporting; and also include fingerprinting for Federal, State and Local background and abuse records checks; as well as the ability to work with many community partners (including the birth family). The licensing process requires a minimum of 21 hours of training, a health and safety inspection of your home and a home study assessment of your family. The background screening, training classes and process to become licensed are all free of charge. Legal adoption means that the child becomes a member of your family and is no longer a part of the Foster Care System. As an Adoptive Parent, you make all decisions for your adopted child, just as you would for your biological children. Most adults who can provide a stable, loving home for a child or children can adopt. There is a great need for adoptive families who have the patience and ability to parent teenagers, large sibling groups and children with special needs. Volunteering your time in support of a cause that you believe in can be one of the most rewarding and beneficial experiences of your lifetime. Our Kids, its agencies and partners, are in need of volunteers who are committed to giving back and making a difference in the lives of the most vulnerable children in Miami-Dade and Monroe communities. 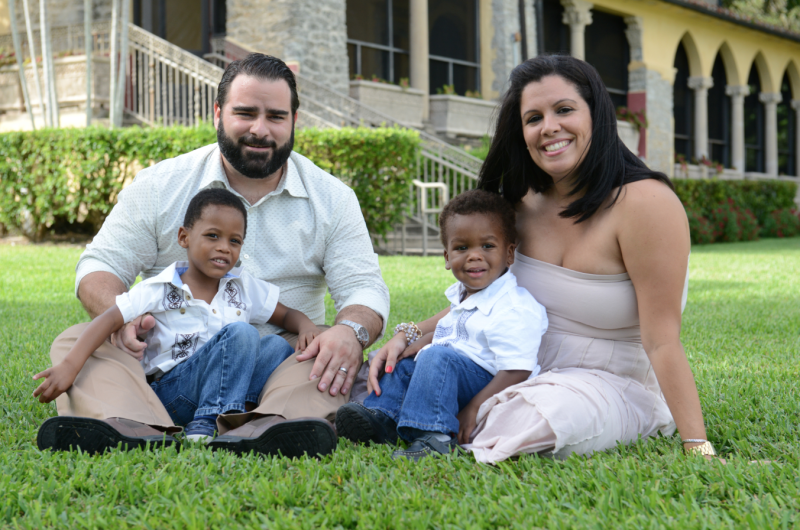 The Children’s Trust Miami Heart Gallery, is a web-based, museum-quality exhibit featuring portraits of children in Miami-Dade’s foster care system who are available for adoption. This initiative is a collaboration between The Children’s Trust and Our Kids of Miami-Dade/Monroe. This site is dedicated to increasing awareness of the more than 150 foster care children in Miami-Dade who are in need of permanent homes.